Heating and cooling equipment is essential to comfortable living but the cost of purchasing and installation is not cheap by any means. To get maximum value out of your every dollar it’s important to ensure your equipment lasts as long as possible. 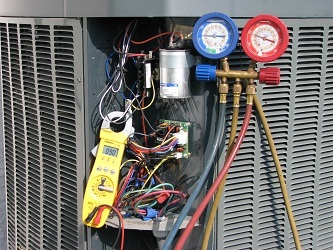 Preventative maintenance can add years to the life of your heating and cooling systems. It’s recommended to maintain your equipment at least once per year, just before winter for heating and just before summer for cooling. You should never try to perform the maintenance yourself. Heating and cooling units are quite complex and without proper training there is a good chance of causing damage, which will cost much more than the few dollars you would have saved by not hiring a professional. Keeping your equipment running efficiently will also minimize your costs to actually run it by burning less power and fuel. Preventative maintenance isn’t always just about routine checks and tweaks, it can also help identify any serious problems that might’ve otherwise gone unnoticed until it’s too late. You’ll have peace of mind all season long knowing your furnace or air conditioning unit is operating at peak performance and less likely to suffer a sudden breakdown. With Heatwave Denver’s extensive knowledge and attention to detail, there’s simply no reason to choose anyone else. Whenever a new equipment model or new maintenance method becomes available we make sure our team stays up to date to ensure you’re receiving the highest level of service possible. We respect your home and want to disturb it as little as possible, that’s why our technicians where shoe covers on every single service call. We charge only one small flat fee of $50 for all standard preventative maintenance services so there are never any surprises when you call Heatwave Denver.